Co. Mayo, Ireland, WPH Press, 1/20/18– GAA Handball presented “She’s Ace” on the third weekend in January in Co. Mayo, Ireland, the first 40×20 Women’s Ranking event of 2018. She’s Ace featured WR48 #1 and GAA #1 Catriona Casey, WR48 #2 and GAA #2 Martina McMahon, and two-time defending world champion Aisling Reilly. The 2018 She’s Ace field hosted 14 of Ireland’s top women’s stars split into four groups, with the winner of each group advancing to the semifinals. 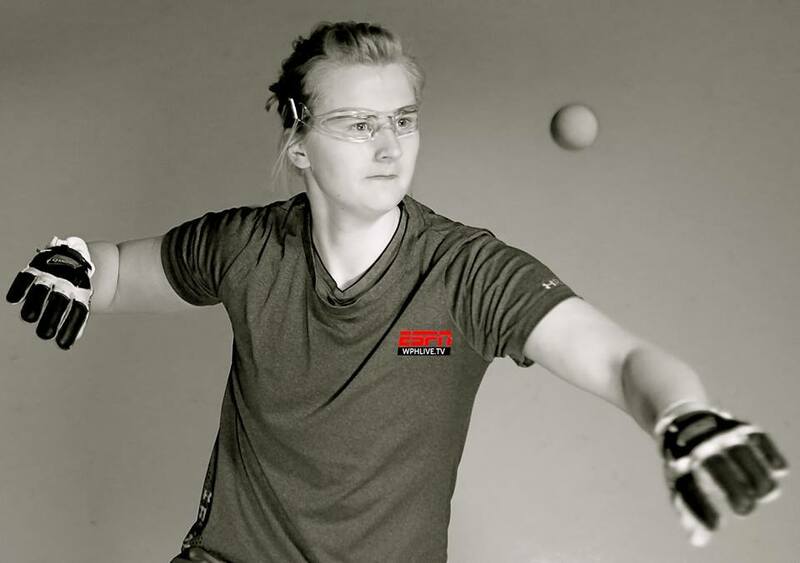 Casey had won three consecutive She’s Ace crowns (2014-2016), but relinquished her title last year to Martina McMahon in a thrilling 11-8 tiebreaker. 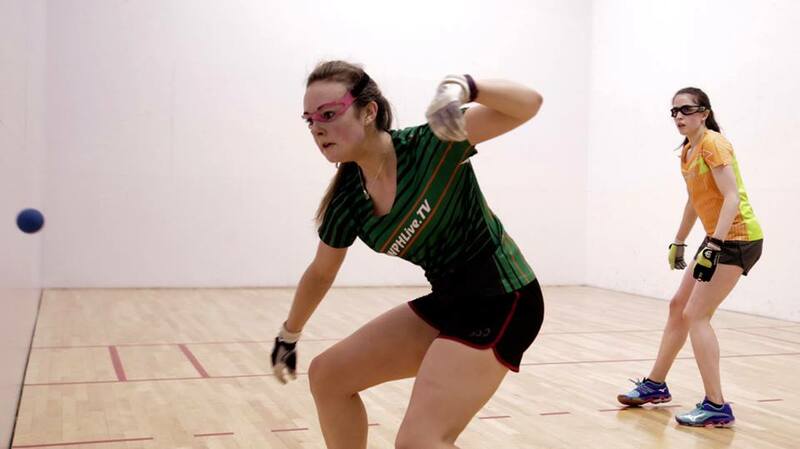 Ailsing Reilly was hoping to throw her name in the She’s Ace title mix, as Reilly was returning from a one-year shoulder surgery layoff to compete in her third GAA ranking tournament in the past four months. Casey cruised to the semifinal in her round robin bracket and had little trouble overcoming Caitrona Millane in the semifinal to book her spot in her fifth consecutive She’s Ace final. Martina McMahon met Ailsing Reilly for the third time in four months in a GAA semifinal, and for the third consecutive tournament, defeated the two-time defending world champion. McMahon entered the She’s Ace final as the defending champion and having defeated Casey in the WPH WR48 final in Tucson in November to win her first WR48 title. 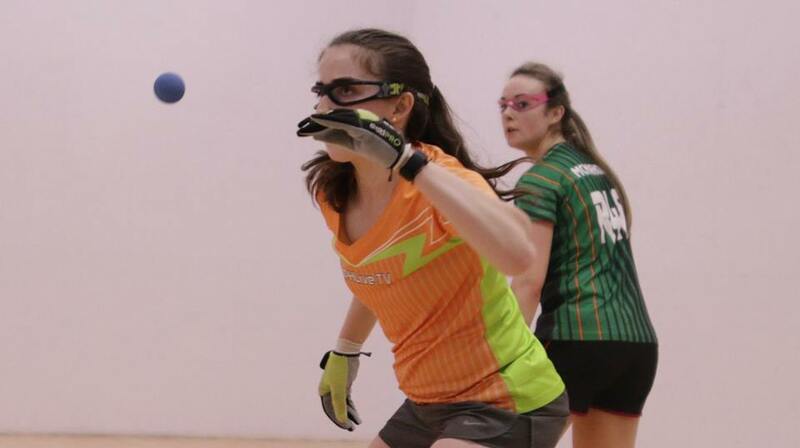 Casey bounced back from her Tucson loss to dominate McMahon in the Irish Nationals final three weeks later. Playing with a laser-focus, Casey raced to a 6-1 lead in game one of the final. McMahon would rally, cutting the deficit to one at 8-9, but Casey would pull away again, taking a 13-8 lead by finding the right corner from the deep court and playing flawless handball. Casey skipped a deep court offensive opportunity at 13-8 by mere inches, opening the door slightly for McMahon. McMahon scored three straight points to stand within striking distance at 11-13 but following a Casey timeout, the WR48 #1 earned a side out and consecutive points to take a one-game lead. Casey continued to apply the pressure in game two, keeping her foot on the gas and pushing McMahon to all corners of the court en route to a 5-0 lead. Unlike game one, McMahon was unable to climb back into the game, as Casey’s relentless patience forced McMahon into low percentage shot attempts. Casey switched to a lob serve at 12-5, further frustrating the hard-hitting lefty. Casey had an answer for nearly every shot McMahon attempted, closing out the match with a right-corner kill to win her fourth She’s Ace title.